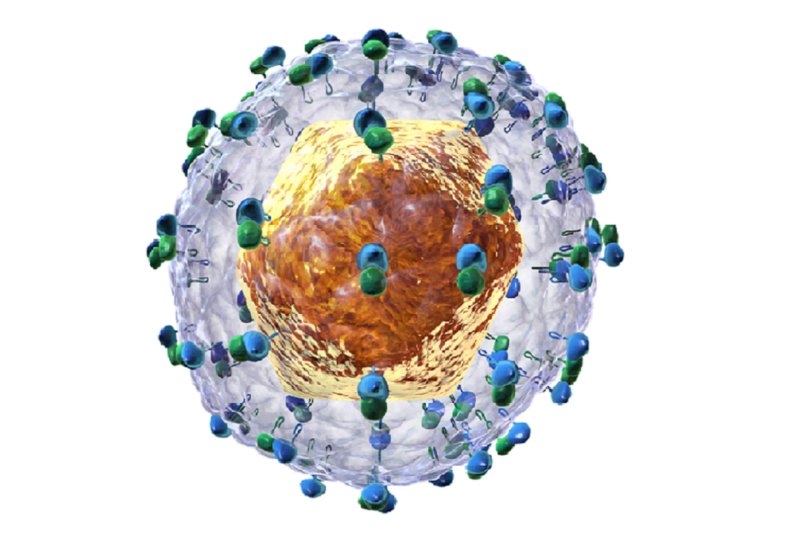 Deaths from serious hepatitis C related liver disease fell from 380 to 319, thanks to new curative treatments. But while England has exceeded the World Health Organization’s (WHO) target to reduce hepatitis C related mortality by 10% by 2020, challenges still exit to eliminate the disease in this country. These new data were announced today (9 April 2019) at the PHE Research and Science Conference. PHE is urging those who may have been at risk of contracting hepatitis C, especially if they have ever injected drugs, to get tested. As well as the fall in hepatitis C deaths, greater access to new curative treatments is also linked to a reduction in the number of people with the disease requiring liver transplants. In 2017, registrations for a liver transplant due to hepatitis C fell to a 10-year low of 63, a 53% decrease compared to pre-2015 levels. Challenges remain if we are to meet the WHO’s target of eliminating hepatitis C by 2030 at the latest, with 113,000 people estimated to be living with chronic hepatitis C in England in 2018. Estimates indicate that up to 79,000 people are currently living with undiagnosed active hepatitis C infection. This is because people with the infection often have no specific symptoms until their liver has been significantly damaged and so are unaware they are infected. When symptoms do occur, they can often be mistaken for other conditions. Hepatitis C infection can have devastating consequences, so the fact that more people are accessing treatment and fewer people are dying from the disease, is a huge and very welcome step forward. Yet, more needs to be done if we are to eliminate this disease as a major public health threat in England. Over a hundred thousand people in this country are thought to be living with this serious infection, and we know that significant numbers of them are unaware they are infected. Anyone who may be at risk of infection, in particular those who have ever injected drugs, even if they injected only once or in the past, should get tested. Given that new treatments provide a cure in around 95% of those who take them, there has never been a better time to get tested. In 2018, PHE and NHS England launched a national exercise to identify and treat patients who have been diagnosed with hepatitis C in the past but who may not have cleared their infections. The NHS is in the process of contacting these patients to offer testing, so those with current infection can be referred for assessment for treatment. NHS England has invested several hundred million pounds to cure thousands of people with hepatitis C, resulting in dramatic progress on saving lives and reducing the number of liver transplants. And, with support from drug manufacturers, there is now a real opportunity to eliminate hepatitis C in England before the World Health Organization’s goal of 2030. It is encouraging to see deaths from hepatitis C-related liver disease falling as more patients access DAA treatments. It is, however, essential that we work to find the estimated 40 to 50% of patients who remain undiagnosed and support them to access treatment services – to stop unnecessary deaths and ensure we reach elimination of hepatitis C by 2030 at the latest. Anyone who thinks they may have been at risk of transmission should get tested – The Hepatitis C Trust website hosts a simple quiz which can tell you whether you may have been at risk. Hepatitis C is spread through blood-to-blood contact, most commonly in England by sharing needles contaminated with the virus, but even sharing razors or toothbrushes with an infected person could pass on the virus. If untreated, infection with hepatitis C can lead to liver damage, cancer and death. If people aren’t sure about whether they are at risk, they can take a short quiz on The Hepatitis C Trust website to find out if they should get tested. Hepatitis C (HCV) is a bloodborne virus that is often asymptomatic, and symptoms may not appear until the liver is severely damaged. As a consequence, many individuals with chronic HCV infection remain undiagnosed and fail to access treatment. These individuals can then present late with complications of HCV-related end-stage liver disease (ESLD) and cancer, which have poor survival rates. For further information on symptoms, please visit the NHS website. There was a 127% increase in treatment in 2017 compared to pre-2015 levels. Between 2005 and 2014, death registrations for HCV-related ESLD and hepatocellular carcinoma (HCC) in England more than doubled, rising from 182 in 2005 to 381 in 2014. Since 2014, however, deaths have been falling, with a fall of 16.3% between 2014 and 2017. Three years ago, the UK government committed to a joint ambition with 193 other countries to eliminate the disease as a major public health threat by 2030. As well as testing and treatment, prevention through needle and syringe exchange services and opiate substitution therapies need to be sustained to achieve and maintain elimination. Injecting drugs with unsterile injecting equipment, particularly needles and syringes, can put people at risk of hepatitis C infection, even if they injected only once or twice in the past. Others at risk of hepatitis C include those who have received blood transfusions before September 1991 or blood products before 1986 in the UK. People who originate from countries with a higher prevalence of infection, such as South Asia, are also at risk, often following medical or dental treatment with unsterile equipment.